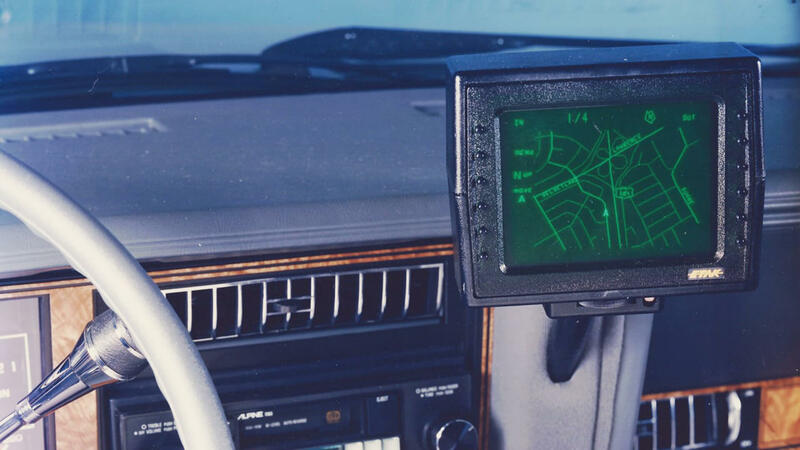 It’s remarkable how far we’ve come with automotive navigation in the last 40 years. The GPS is one of the most useful things to ever be born out of modern technology and is now built into every mobile phone and as a standard equipment on many cars. However, in the early days of automobiles, getting from point A to point B proved to be a bit tricky. Roads were in their infancy, highways were still decades away and with little road signs and markings, anyone could get lost. It didn’t take long for cartographers to see the need for maps in vehicles, and what started with folded maps shoved in the glove compartment turned into a multi-billion-dollar industry. But it all started with the Iter Avto. Designed and created in the 1930s, it’s more like a “map guidance tool” since it didn’t really give voice prompts and directions and, of course, it didn’t use satellites. The device came with a set of paper maps. These were wrapped from one roll to another across a display and a cable connected to the speedometer controlled the scroll rate. The speed with which the display moved was proportional to the speed of the car so it always showed the correct point. The big problem was that the moment you drifted from your route, you would have to load a new map and find the exact spot of your current location. 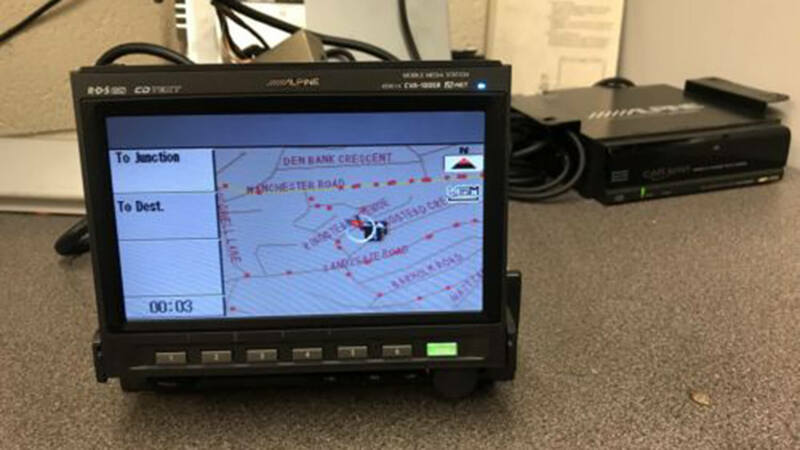 The first truly automotive navigation system was developed almost forty years ago by Honda, Alpine and Stanley Electric and it was called the Electro Gyro-Cator. Introduced in Japan, in 1981, this “inertial navigation system” used a small helium gas gyroscope and it was more like the systems used by fighter pilots in the Cold War. Inertial navigation systems are based on a pretty simple principle: if you know where you started, you know how far you travelled, and if you know which direction you were headed in, then it should not be difficult to know where you are. Apply that concept continuously, and you’ve got the workings of a basic navigation system. Translucent maps had to be placed in the screen manually and would scroll over a monochrome 6-inch screen used for lighting and pinpointing purposes. The unit was optional for the equivalent of about $2,750 – nearly 25 percent of the price of the actual cars themselves. 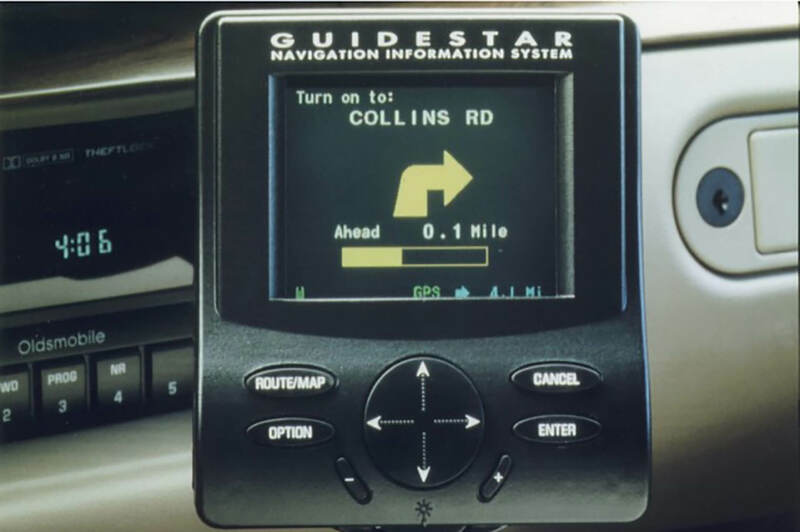 The first move from paper maps to digital stored on portable media was with an aftermarket system called Etak in 1985. It read mapping data stored on a cassette drive and each tape would cover a section of a city. Navigating around Los Angeles required four tapes, and if you left the cassettes in the car on a particularly hot day you were out of luck getting to your next destination. Etak also relied on dead reckoning instead of GPS to find its way, and included a monochromatic screen that moved as the car drove along. Technology-wise, the system was very advanced for the time and, naturally, quite expensive but Etak managed to sell several thousand units over several years. 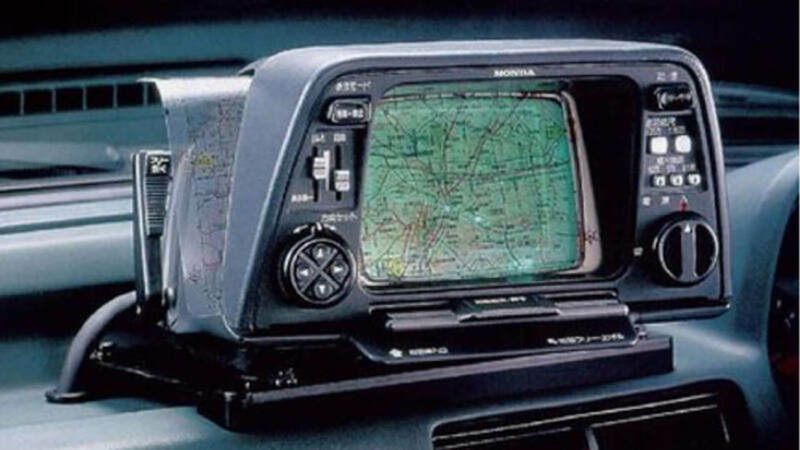 In 1987, Japan gave the automotive world two less known but important advances in navigation technology. 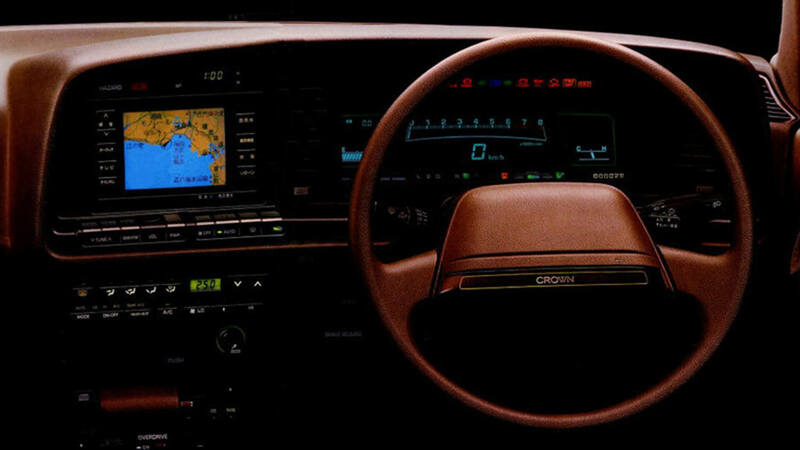 The Japan-only Toyota Crown Royal Saloon G was the first with an in-dash CD-ROM mapped dead reckoning navigation system and first with color display. In 1990, Mazda introduced the first ever GPS system for automotive navigational use. Offered in the top-of-the-line Eunos Cosmos cars, and only available in gadget-loving Japan, Mazda’s navigation system was built into the actual car. 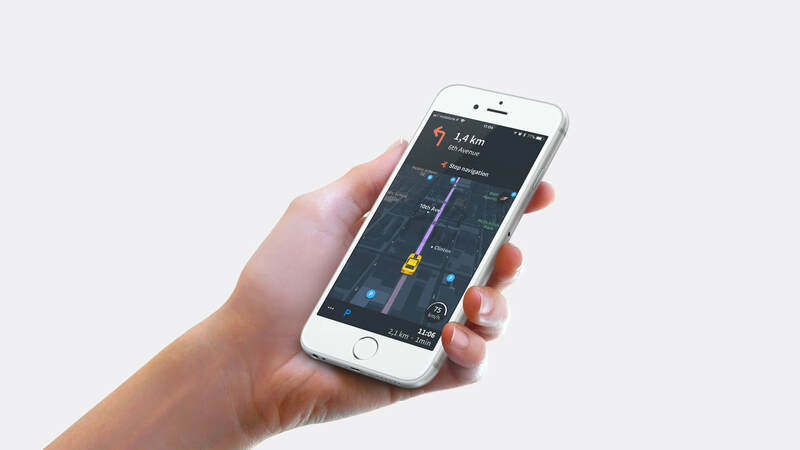 For the first time, your position on the road could be triangulated in real time from satellites in space. Truly the “space age” had finally arrived in the automobile. Meanwhile, General Motors had worked up a built-in GPS navigation system, ONIS, initially introduced in 1992 on Avis Rent A Car vehicles in Florida. The system was officially added to Oldsmobile’s 88 series as a factory option for the 1995 model-year. For retail sale, it was renamed GuideStar. initially, only California and Las Vegas were mapped, but soon more mapping “cartridges” were available for a wider area. 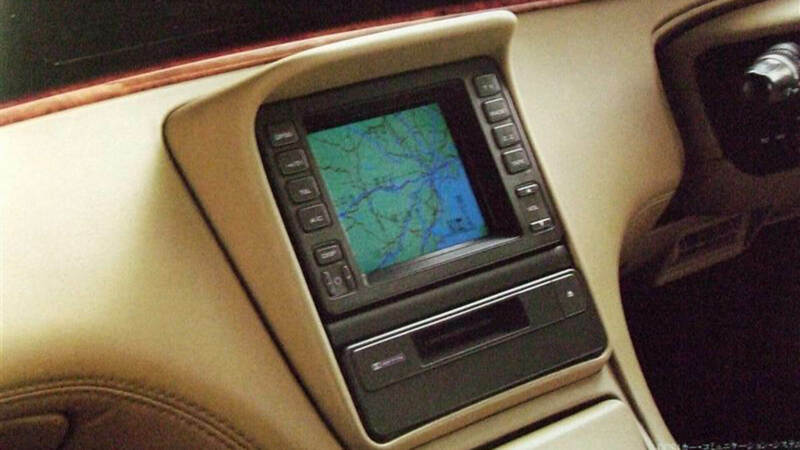 In 1997, the Japanese company Alpine introduced their version of a pop-out CD-ROM (stored map) navigation system which used GPS (Global Positioning System) satellites. Each CD disc containing mapping data only covered a few states. However, this system would allow retrofitting and any car buyer could add GPS to his car. 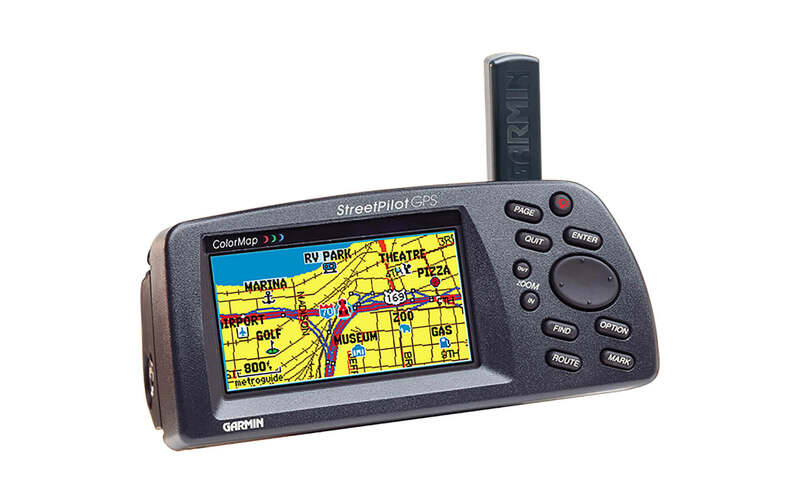 By 1998, Garmin introduced their first portable StreetPilot GPS navigation system for automotive use. It had a black and white screen, and used cartridges with mapping. One cartridge could cover a fairly small area like Atlanta. This was a huge advance, because now “anyone” could buy a GPS navigation system – if they could afford it. List price was initially about $550. Best of all, it could be moved from car to car at will, so people could actually pack it, fly to a location and use it in rental cars. Because U.S. government deliberately limited the GPS functionality, it wasn’t until 2000 that the full capabilities of GPS technology were installed into commercial vehicles, with new luxury vehicles like the BMW 7-Series laying claim on this technology. Since then, GPS technology has advanced by leaps and bounds, with many drivers now relying on smartphones for precise traffic and directions. Cars have come a long way in the last quarter-century. Indeed, the advent of GPS technology became an important turning point in how people view road trips today. Nowadays, getting lost is an adventure waiting to be discovered.